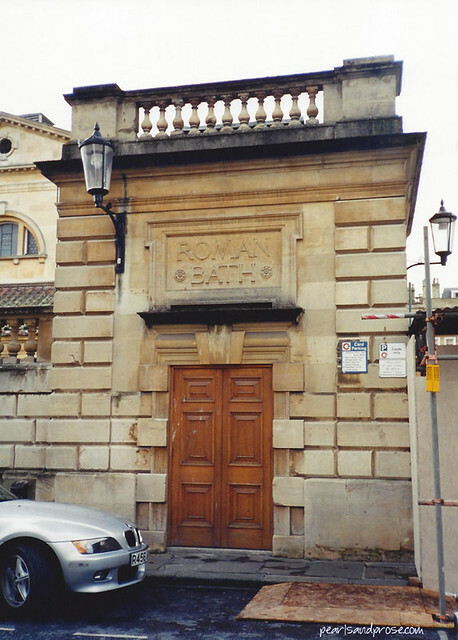 When I did the original post on Bath, I promised more photos in the future. That was over a year ago. Sorry about that. Life just keeps flying by. 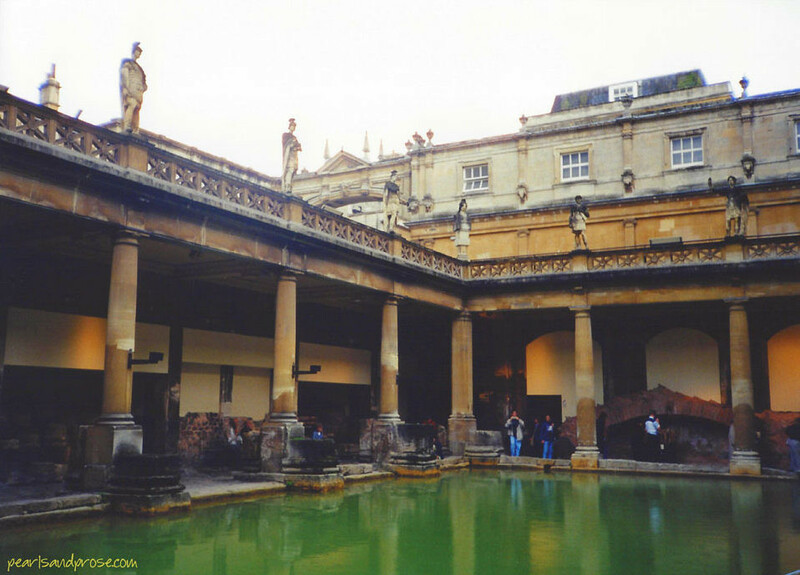 The Romans built baths and a temple in the valley of the Avon River, and Bath became a spa with the Latin name Aquae Sulis (“the waters of Sulis”) around 60 AD! 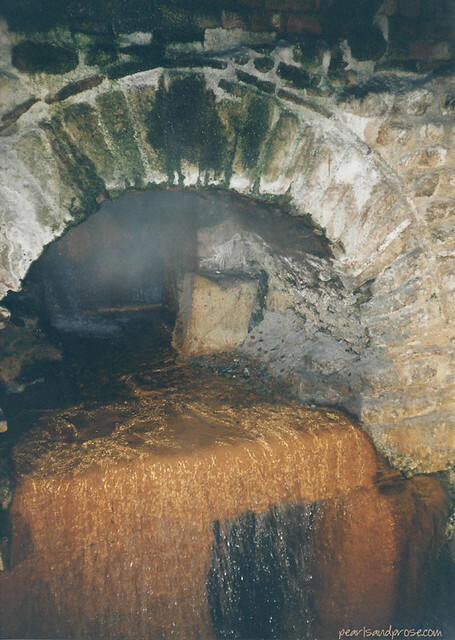 According to Wiki, the site of the Roman baths’ main spring was dedicated to the goddess Sulis, whom the Romans identified with Minerva, the goddess of healing. Latin messages to Sulis were scratched onto metal, known as curse tablets, because they cursed people who had wronged the writers. 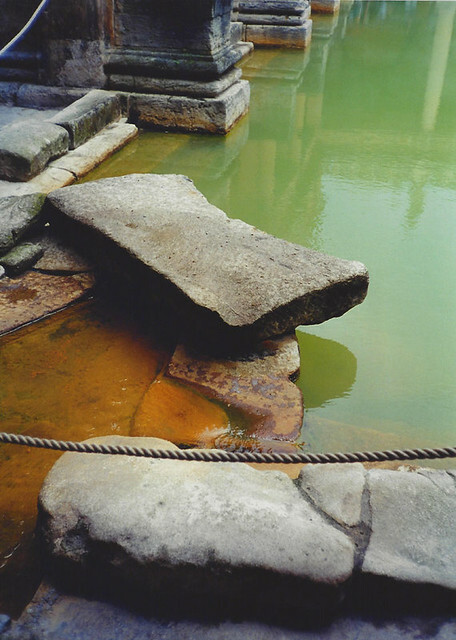 Bath’s historic spas were finally restored and revived in 2006. The new Thermae Spa offers visitors a chance to soak in the historic 95-degree waters in a state-of-the-art complex. I’m just amazed that the place has held up this long. 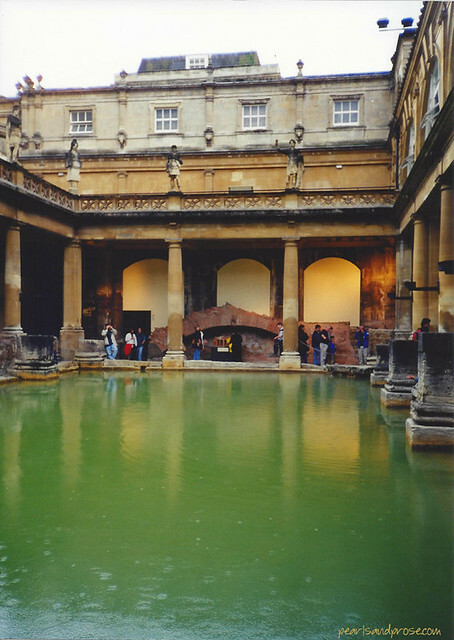 This entry was posted in photography and tagged Bath, England, Roman Baths. Bookmark the permalink. I remember that adjacent to the baths there was a dining area where a courtly gentleman could pour you a glass of the “filtered” drinking water (minus the lead of course!). I took a sip, but it didn’t taste very good. The snow is such a surprise every year. I do too, Caroline. Would really love to go back and take lots of photos. It was raining that day and our time was limited. Beautiful images….where is this bath? Bath, England is about 115 miles west of London. Bath was one of the first day trips I took when I moved to London. it is astounding how preserved they are. Yeah, I still can’t get over it. Such a great place to visit.